The state of Kansas is expected to resume its sports betting discussions early next year. According to a report from fox4kc.com, Republican State Rep. Jan Kessinger, who unsuccessfully pushed a sports betting bill this year, is advocating for sports bars across the state to have access to the new business. Some reportedly are already salivating at the mere talk of such an opportunity. There were five sports betting bills on the table in Kansas this year, so legislators will need to come to a compromise on what the new industry will look like. Under the Kessinger plan, sports bars offering keno through the state lottery could be eligible for involvement in facilitating wagers. “I think one of the keys to the success of sports betting in Kansas would be to make it accessible widespread. Some people say, ‘Oh, let’s just have it at the casinos.’ You can`t have sports betting at just four locations in Kansas,” Kessinger said. In addition to the casinos and the taverns, Kansas officials have talked about allowing sports betting at racetrack gaming facilities, even though the Wheat State doesn’t currently have any of those. A defunct racetrack in the state is owned by Las Vegas casino magnate Phil Ruffin, so we can probably expect a rival of past discussions on allowing gambling at tracks. For years, Ruffin was unable to convince the state to allow gambling at the Wichita Greyhound Park, which he closed in 2007. According to Kessinger, the legislature will take a serious look at allowing internet-based sports wagering. Kansas could see $2.6 billion in annual sports wagers, generating nearly $170 million in annual revenue, according to a 2017 study from Oxford Economics, commissioned by the American Gaming Association (AGA). Kansas has about 2.1 million adults. The state is home to four commercial land-based casinos and five tribal casinos, according to the AGA. The commercial properties generated $389.6 million in gaming revenue last year, up nearly 7% compared to 2016. The gains were attributed to a fourth commercial casino — the Kansas Crossing Casino — opening in the Southeastern region of Kansas in April 2017.
among the state’s other three commercial casinos, according to the AGA. “The opening in 2017 of Kansas’ fourth and final standalone casino means that for the first time since 2009, no expansion of the state’s gaming market is pending,” the AGA wrote in its annual “State of the States” report. However, sports betting is now on the horizon. According to the AGA, the Kansas City casino market, which spans Missouri and Kansas, was the 13th largest casino market in the country last year. The market generated $792 million in gaming revenue. Missouri is also looking at sports betting, which will further motivate Kansas to not drop the ball. Kansas’ commercial casinos pay a minimum 27% tax rate on gaming revenue, with the precise amount depending on the management contracts signed by the Kansas Lottery and casino operators. Under one of the state’s 2018 sports betting proposals, the state would receive “not less than” 6.75% of the sports wagering revenues. The local casino industry wants a clear-cut rate of 6.75%. Discussions in Kansas have included the so-called “integrity fee,” which is a disguised royalty that the sports leagues are seeking from the casino industry. In April, the Hollywood Casino at Kansas Speedway told state officials that the royalty would be “unsound.” That was before the mid-May Supreme Court ruling that went against the sports leagues and allowed states to authorize sports betting. “No other jurisdiction currently offering sports wagering has adopted a fee like this and no state considering legislation in advance of the U.S. Supreme Court decision on sports wagering prohibitions has done so, either,” the casino operator wrote. Kansas was relatively progressive with regards to fantasy sports, but that doesn’t mean it will be smooth sailing when it comes to traditional sports wagering. If the Kessinger vision gains traction, expect a political slugfest in Topeka. Hollywood said in April that it opposes sports wagering becoming available to “any” Kansas Lottery vendor. 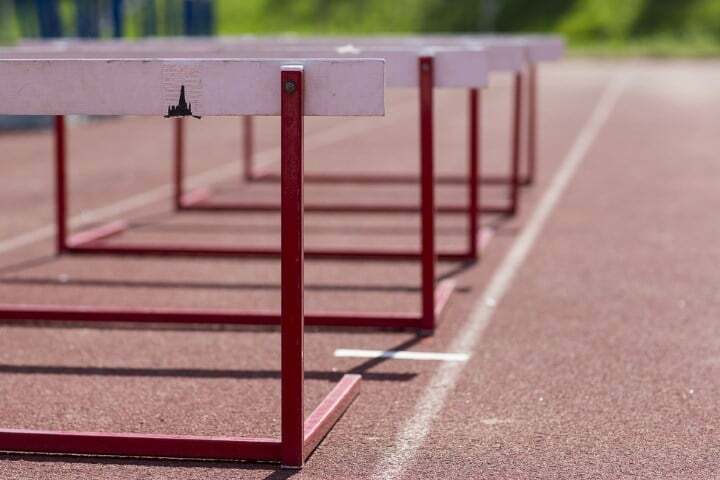 “This regulatory scheme is contrary to Nevada and other jurisdictions considering sports wagering legislation this year and would create a regulatory nightmare for the State of Kansas with so many gaming licensees,” the casino said. It’s worth noting that in the recent report from fox4kc.com, Kessinger again threw out a figure of $75 million in tax revenue from sports betting for state coffers. Hollywood lambasted that figure as far back as April. The casino said it takes “strong issue” with that fiscal prediction, saying that the state should expect up to $23.4 million in tax revenue from sportsbooks. The discrepancy was so large that the casino called for tabling sports betting until 2019, and that’s exactly what ended up happening. Will Colorado Stay Ahead Of The Pack With Sports Betting Like It Did With Recreational Marijuana?